Adam Carolla Gets Righteously Indignant! 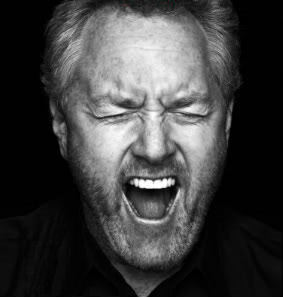 On his Wednesday show, Adam Carolla interviewed Andrew Breitbart to discuss Andrew’s new book, Righteous Indignation. Let me assure you, you’ll LOVE this duo. Andrew’s been a guest on Carolla’s show before, but this was hands down the most entertaining so far. Check out some of the comments from Carolla’s regular listeners – not surprisingly, some aren’t exactly Breitbart fans (which makes it that much more enjoyable for me, at least). Carolla tackled topics with Andrew on just about everything – from Righteous Indignation to Communism, the Left’s Racist meme, the racket of building permits and greenwashing, and unions, just to name a few. And a whole lotta LA, which, as Andrew illustrates for us, ain’t what is used to be. The two were on such a rant roll over our waning freedoms, Carolla, who has described himself as having libertarian leanings, almost sounded like another grassroots activist. Who knows? Sounds like he may just have a bit of Presidential appeal. Andrew certainly thought so! Oh yeah – Carolla’s also not a big fan of Maxine Waters. Not. At. All. Which reminds me, this audio is NSFW. What? This wasn’t the Huffington Post or Media Matters, it was my local NJ online news site. After reading it, I initially dismissed the post, shrugging it off as an asinine tirade by the author, John Atlas, who also lives here in NJ and is a very active supporter of ACORN and hostile to any views that aren’t on the far left. While I almost expected the lecture about promoting civility in the wake of the Tucson tragedy, it was the ugliness of his rant against the right and the stretch he made to connect it all to ACORN that befuddled me. Nearly a week later, that post was still on my mind. Then came the left’s latest meme against free speech, and this bizarre charade of hoisting Frances Fox Piven as their newest martyr. Ah, now it made sense. Then of course, there is Tucson. For the last few weeks, I’ve been finalizing some intensive research and was in the process of writing up a multi-part post that was to be published after the mid-term elections. 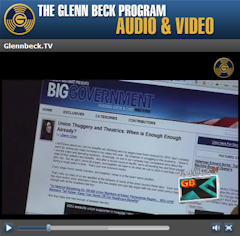 One of the installments in the series will focus on the left’s push for a public takeover of the media – touching upon everything from the historical aspect of traditional media’s financial collapse, to the left’s “Media Reform” project and “New Public Media” plan, to the complete portfolio of George Soros’ media investments. However, in light of the most recent onslaught of attacks against Andrew Breitbart and the Big sites, I thought it might be prudent to extract a few different elements from this future series and publish an early post today. Because given the concerted efforts to use a variety of media and advocacy outlets to manufacture falsehoods in an attempt to intimidate and silence the voice of conservatives, I thought it important for others to see how –and why – some of these media outlets are connected. Because it extends well beyond Media Matters, NPR, and Huffington Post. While the debate continues to rage over the prospect of defunding National Public Radio (NPR) of its federal taxpayer dollars in the wake of Juan Williams’ firing, the left is busy tending to its strategy. They’ve once again taken to opining about their Utopian notion of a national public media system, hoisting it as the antidote to partisan viewpoint peddling. And by partisan viewpoints, they mean those that aren’t *their* viewpoints. The left’s fantasies were further spotlighted by several recent developments in the media industry, only weeks and days apart from one another. On October 7, Center for Public Integrity, an often cited source for liberal journalists, announces a $1.7 million grant from the Knight Foundation. CPI has also received millions in funding from George Soros’ Open Society Institute, including another recent grant of $100,000. On October 18, the Huffington Post announces the merger of its non-profit journalism arm into the Center For Public Integrity, with an additional $250,000 grant from the Knight Foundation for the merger. This past July, in a formal request it filed with the prosecutors of Maryland state and the city of Baltimore, a left-leaning organization known as Velvet Revolution urged prosecutors to press criminal charges against James O’Keefe and Hannah Giles for what it says was a violation of Maryland’s Wiretapping and Electronic Surveillance Act. But the letter also went a step further, naming Andrew Breitbart as a conspirator in masterminding the whole operation. The accusation against Breitbart is of course patently false and baseless. No evidence exists to even suggest such an accusation, because it simply did not happen that way. Then again, this story’s not about Andrew Breitbart. It’s about Velvet Revolution, the source making the claim. Interesting, that the words “felony” and “Wanted” would be used. Again, considering the source. You see, while Velvet Revolution has inspired quite a flurry of excitement from its progressive partners these days, who seem to be frolicking in their apparent muckraking efforts, their glaring omission and utter hypocrisy is absolutely astonishing. With so much dirt digging going on, one would be very hard pressed to believe that none of Velvet Revolution’s cheerleaders had any idea whatsoever that a convicted violent felon is one of its co-founders. In an environment today when the left has repeatedly falsely accused most opposition of being racist, hateful and violent, how convenient that progressives would fail to acknowledge the hypocrisy of their own implicit support of real violence and law-breaking. The story behind Velvet Revolution begins with musician-activist turned immigrants’ rights defender turned voting rights activist, Brett Kimberlin, who also runs the “Justice Through Music Project (JTMP).” According to journalist Brad Friedman of the Brad Blog, he and Kimberlin co-founded Velvet Revolution together, a detail Friedman has specifically noted in a number of posts such as this one from 5/31/2007. Congratulations, Tea Partiers! You know you’ve become a genuine threat to the Progressive movement when they start making t-shirts about you. The website features a variety of t-shirts and mugs imprinted with the slogan “F*uck tea,” and Ms. Payne infers there will be more to come in the future. It also splashes a host of unsourced “Tea Party Facts” across the left side of the page, in an attempt to demean and minimize those who belong to or support the Tea Party movement, and imply that those who don’t are somehow of superior intellect based solely upon said “facts.” Meanwhile, the site dotingly highlights the word “progress” as “a movement toward a goal; advancement; growth; development; continuous improvement,” calling it “The Real American Party.” Frankly, I see nothing “real” about this or about any of the progressive people involved in it. Now, I’ll admit, I’m one conservative constitutionalist who embraces the “F” word as part of my regular vocabulary, as much of a shock as that may be to leftists who may have already stereotyped me otherwise. But I was not aware that the word had become synonymous with positive development and improvement. (What a relief!) If brandishing the “F” word across my chest and gallivanting in public is a sign of intellect and the new symbol of the party of Barack Obama, Nancy Pelosi and Harry Reid, then I’m more than happy to save my $22.50, thanks. (Besides, if one’s cause were so important that such a word absolutely had to be used, the Libertarian in me wonders, why not just spell it out?) Also somewhat amusing about the entire venture is that the very people railing against the tea parties and against capitalism are shelling out over $20 a shirt for someone’s concocted-idea-turned-business-venture. It’s the very Capitalist tale that so many of the progressive left heartily opposes. Some prominent liberal academics are soliciting short essays from faculty members and graduate students to document a pattern in American history of major social advances being opposed by conservatives who “cry wolf” about the impact of proposed reforms. The campaign — known as the “Cry Wolf Project” — hasn’t been officially announced. But conservative bloggers obtained some of the solicitations of essays and published them this week, along with considerable criticism. A series of posts on Andrew Breitbart’s Big Journalism Web site have called the program “Academia-Gate” and suggested that the effort is inappropriately political. The creators of Cry Wolf, meanwhile, say that what they are doing is awfully similar to the ways that right-leaning scholars have used academic work to advance their causes over the years. Did SEIU Pay Media Matters to Cover Up the Gladney Beating? People on the left are constantly asking Andrew Breitbart who funds his “operation.” It’s grown to become rather amusing, actually. For those of us who are bloggers on The Bigs, we know the truth, we see how things operate. We know there’s no giant conservative-leaning lump of cash greasing this machine. If that were the case, I for one think Andrew would probably be home with his family even more, rather than traveling around, worrying about advertising or other ways of self-funding this little “hobby” of his, as the left often like to refer to it. But let’s just look for one moment at where some of that line of thinking comes from on the other side. I’ve written previously about the birth of Media Matters as a spawn of Rob Stein’s Conservative Message Machine Money Matrix road show, from which the Democracy Alliance was born. It’s through this organization from which much of the organization’s funding had come; in recent years, more has been spread out across other progressive organizations, but the funders often remain the same names in most cases. For instance, The Tides Foundation gave Media Matters and their Action Network over $175,000 just last year. In earlier years, groups like Montclair, New Jersey-based (hometown of Media Matters’ Eric Boehlert) Schumann Center for Media & Democracy gave the organization $500,000. The donors’ list is vast and diverse, and we plan to cover that in detail in the future. So I’ll focus in on one set of donors to Media Matters, which is the Labor Unions. More specifically, in light of some recent posts regarding the Kenneth Gladney incident, I thought it appropriate to revisit donations made to Media Matters specifically by the Service Employees International Union. When you look at the timeline of events and the media calendar in general leading up to the Gladney incident last August, it’s difficult not to conclude that there was collaboration amongst White House staff, components of Big Labor, and certain liberal media outlets. However, we know that all will continue to deny it. This is the type of funding that I would question in return to Media Matters. With their membership being so low and their unfunded pension expenses so high, can the SEIU really afford to be randomly donating funds to an organization like Media Matters? Perhaps SEIU purchased advertising on Media Matters’ website, but then I’d think it would be categorized as such, as others ad expenses in the LM-2 were. If not advertising, if not random donations, then what’s the reason for SEIU having donated these funds? One could logically conclude that Media Matters performed a service in return. Only they can answer that.